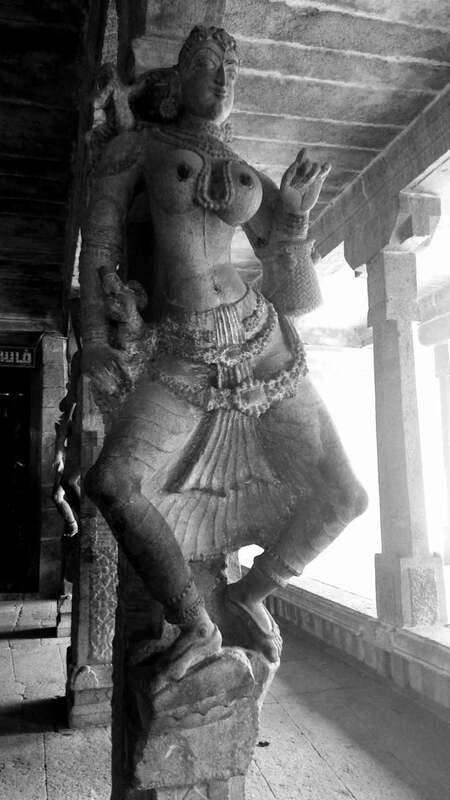 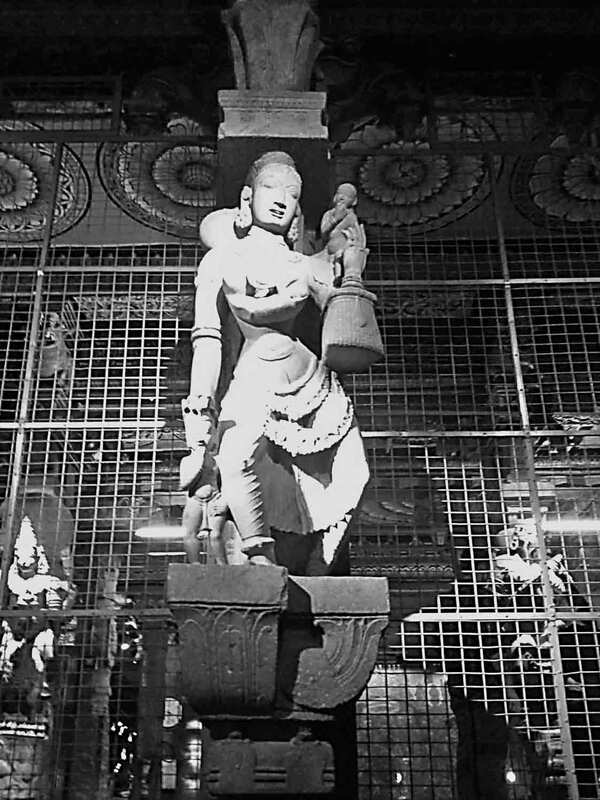 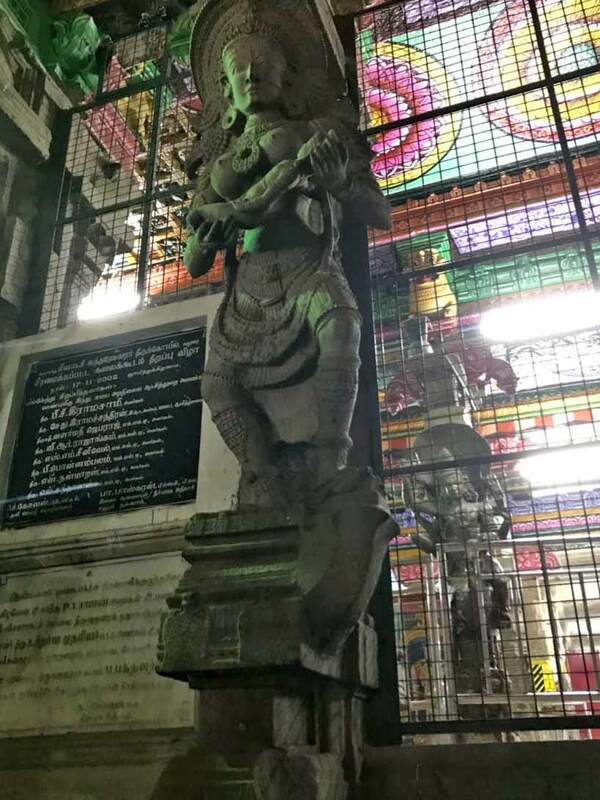 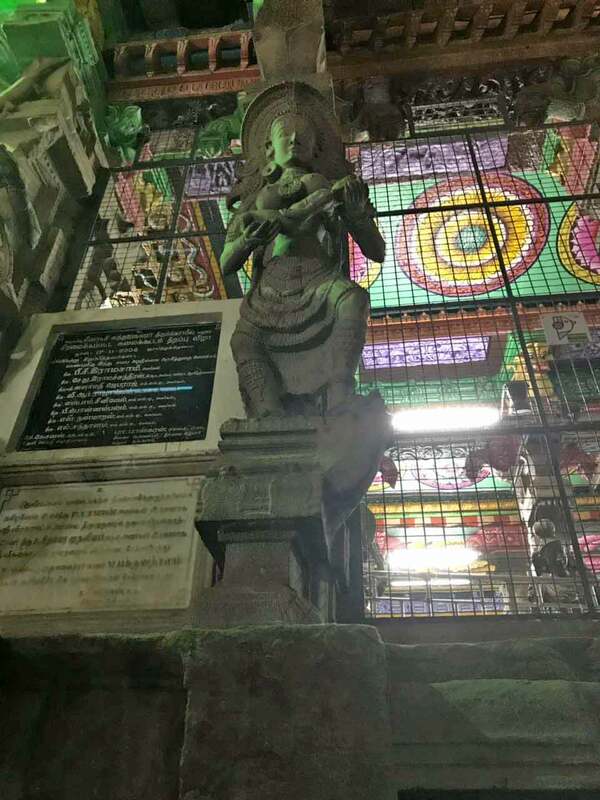 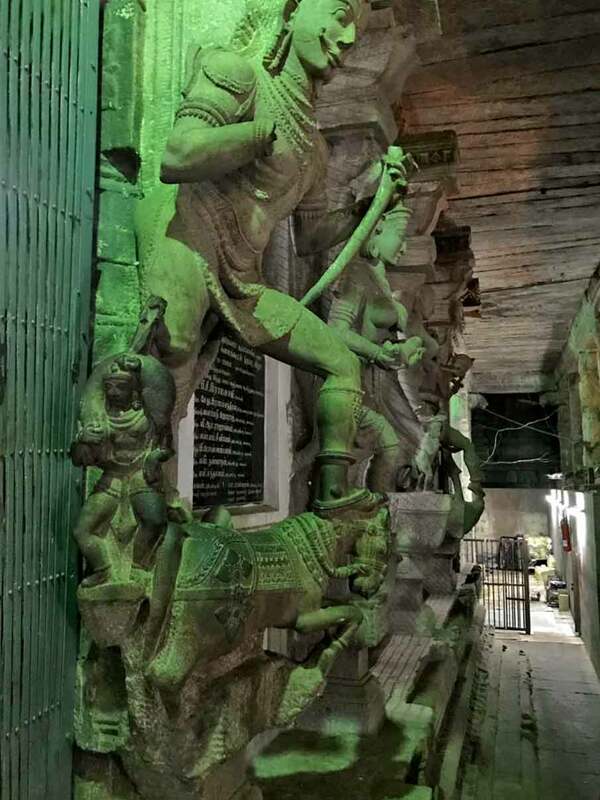 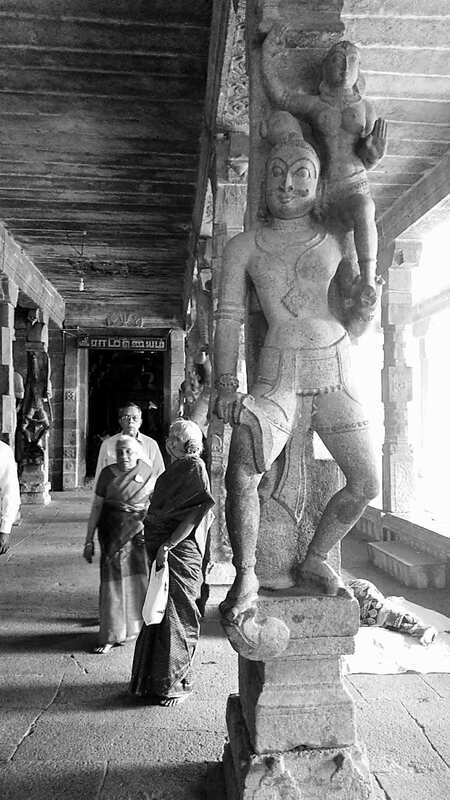 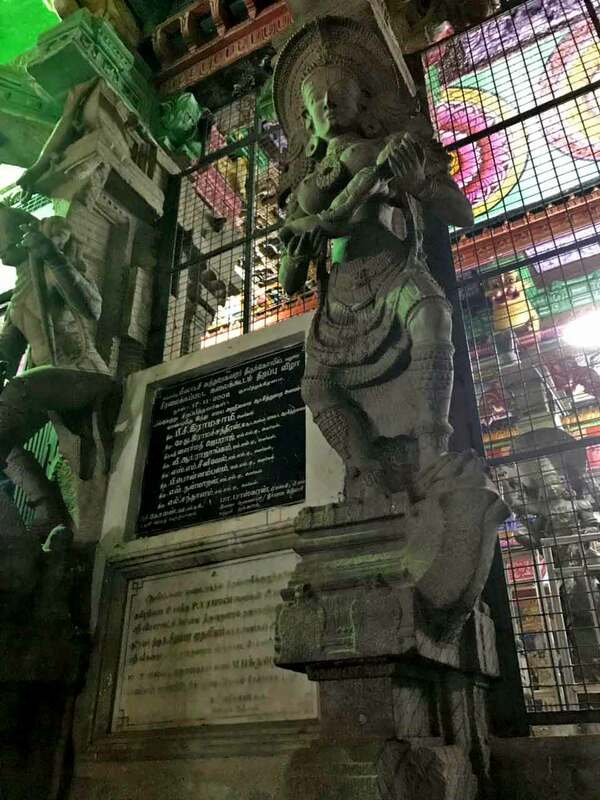 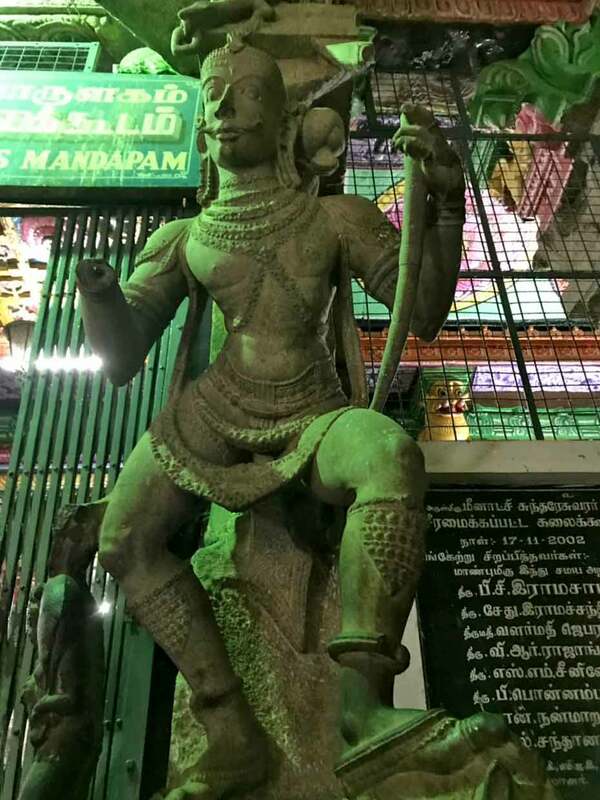 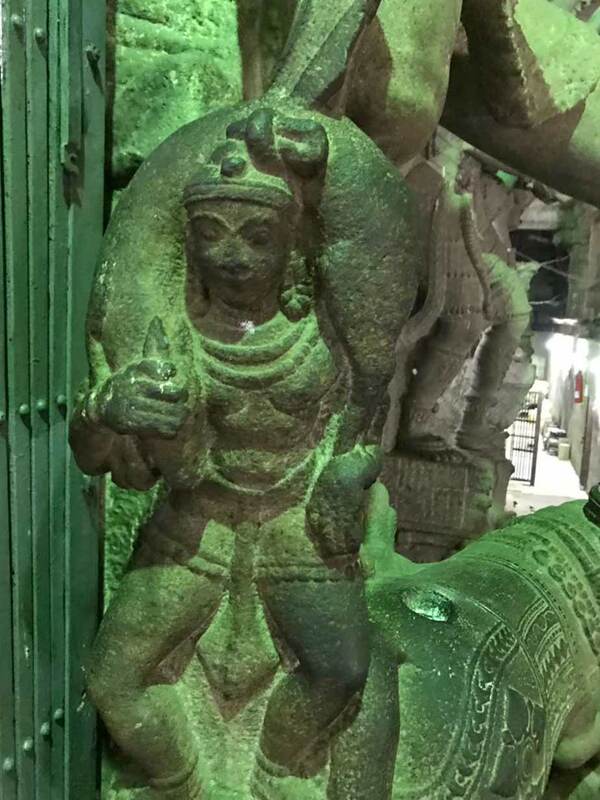 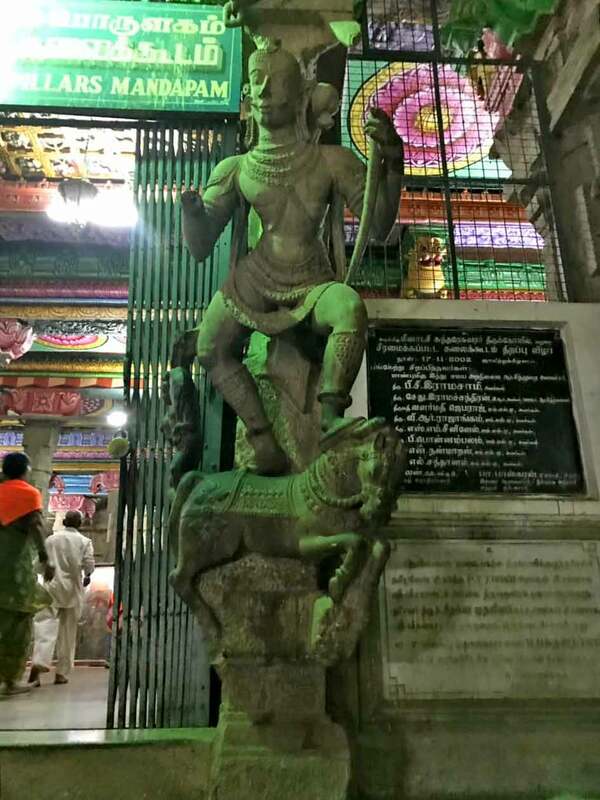 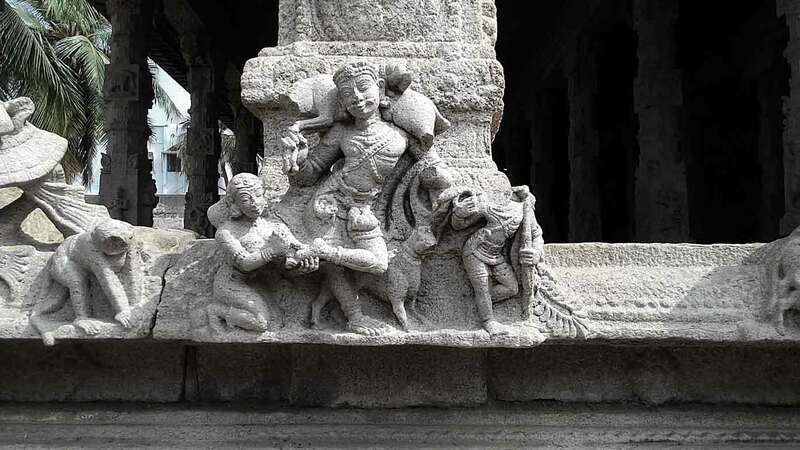 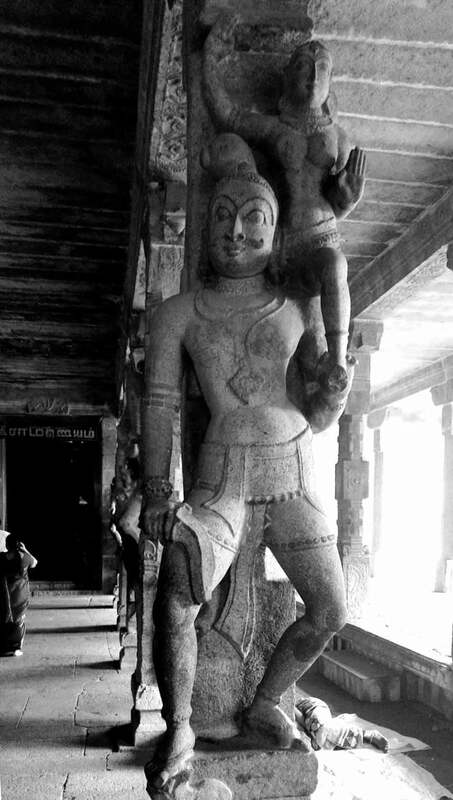 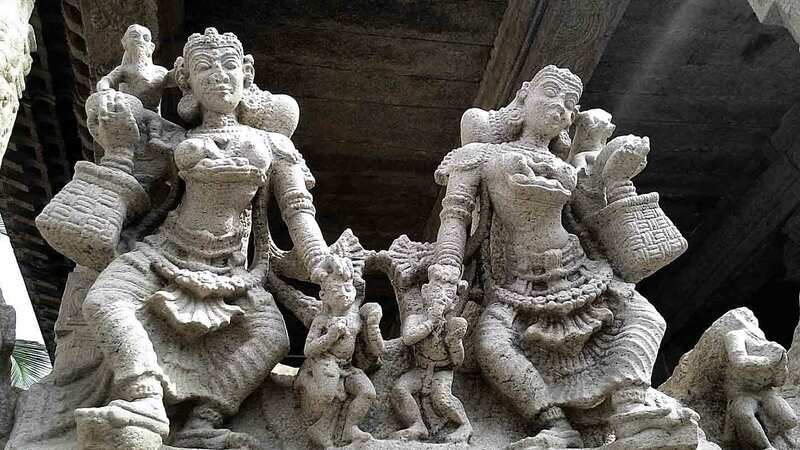 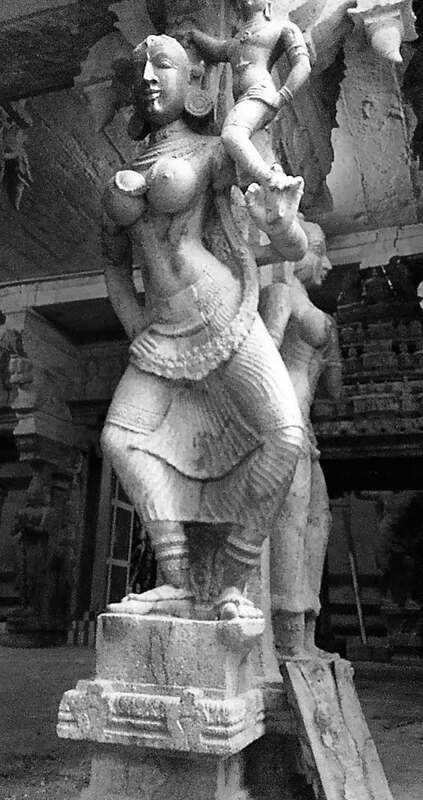 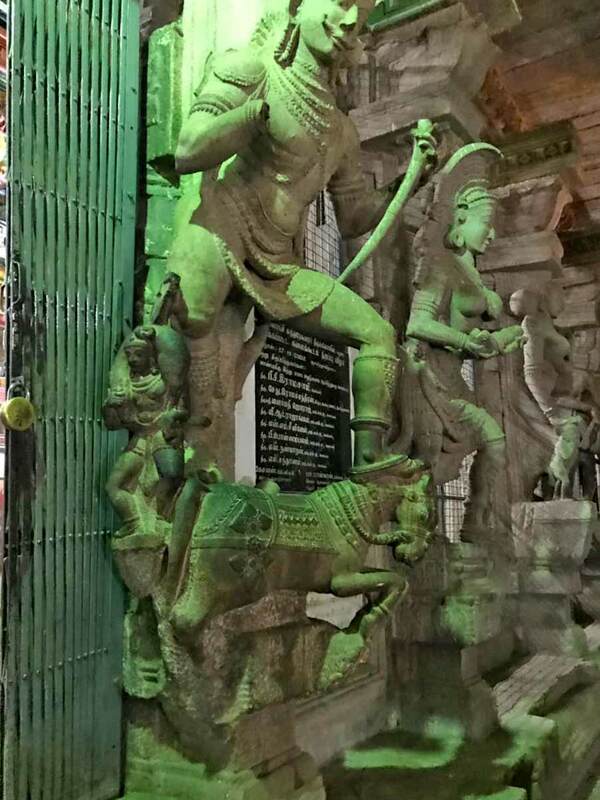 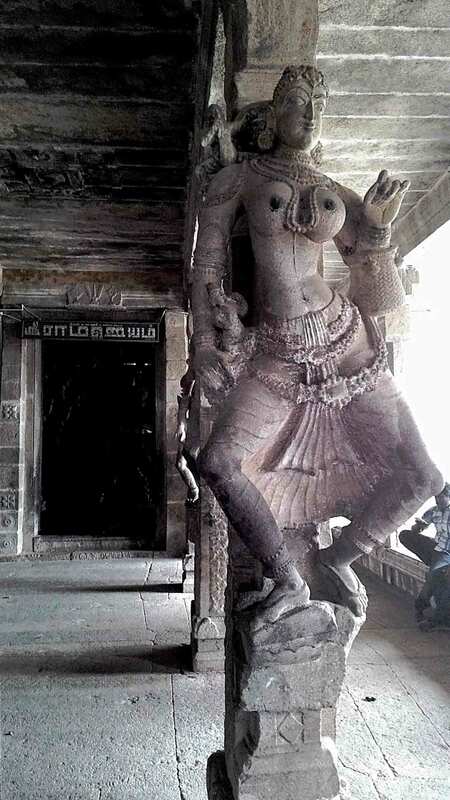 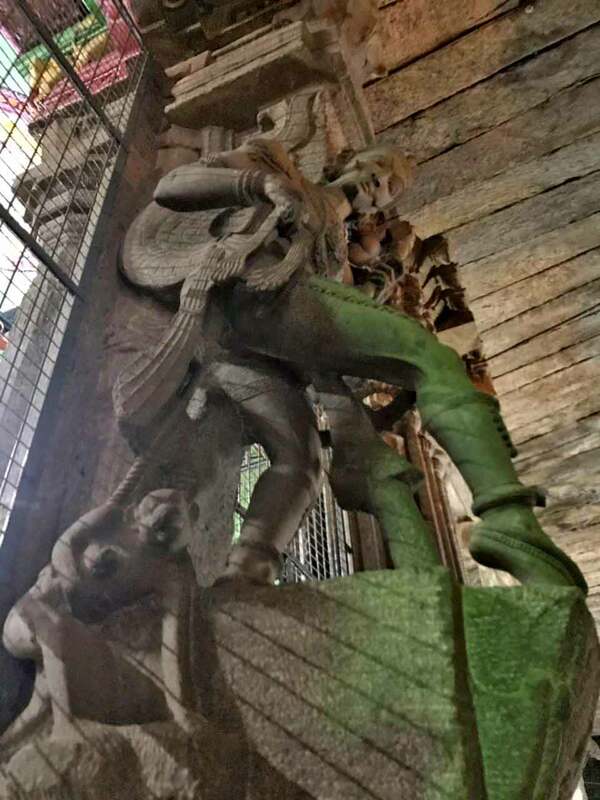 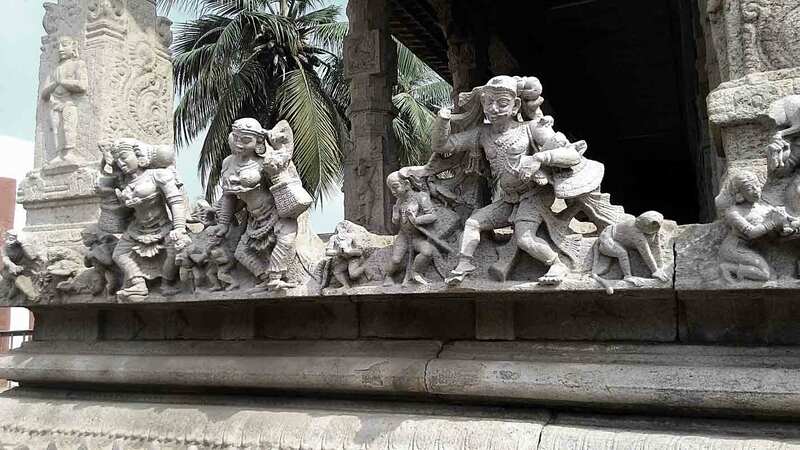 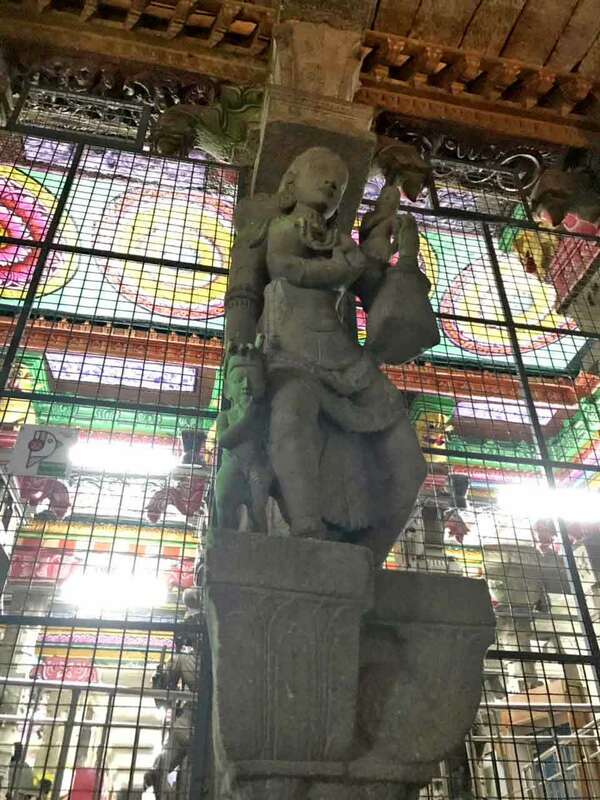 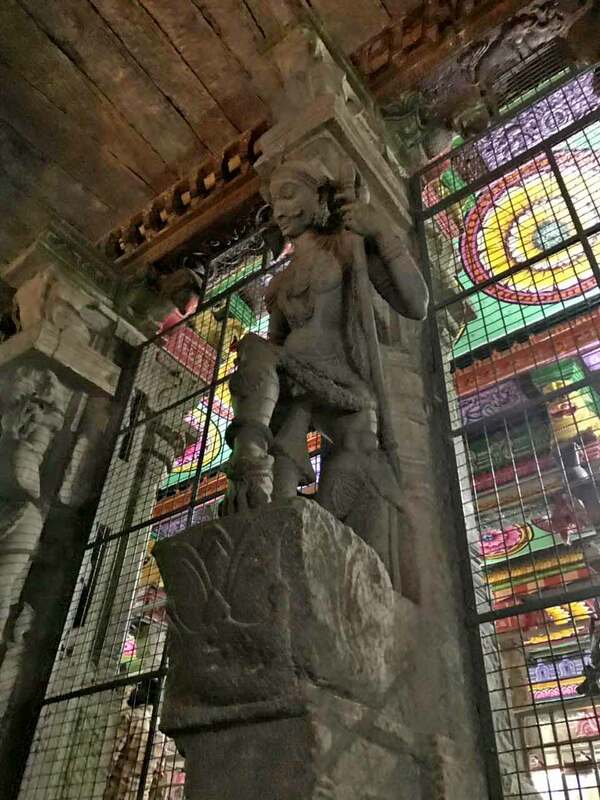 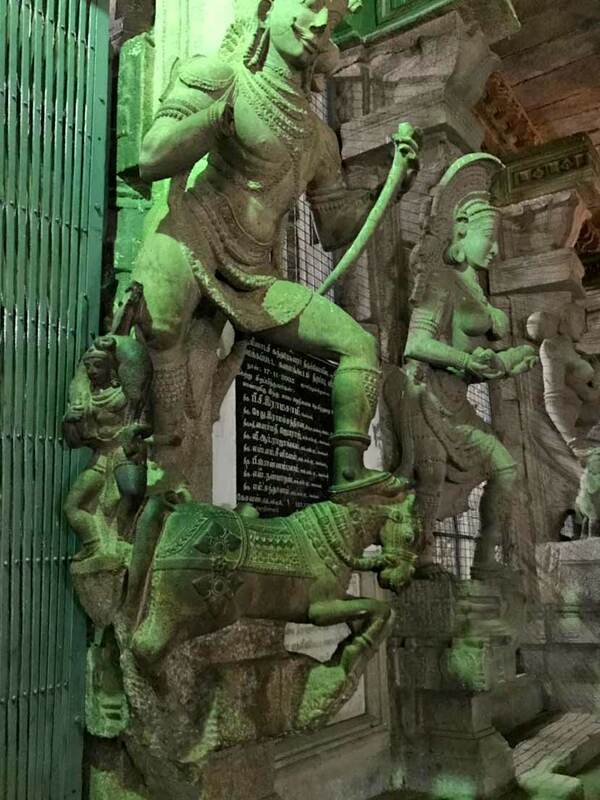 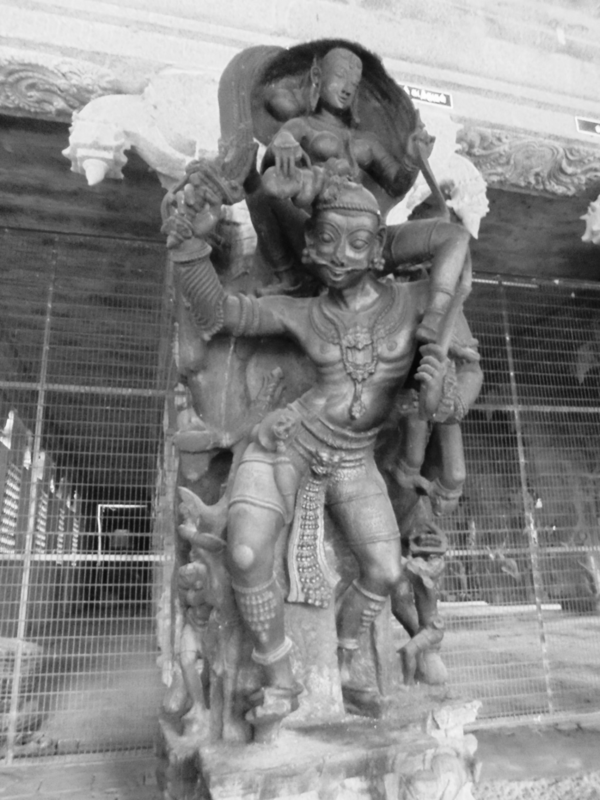 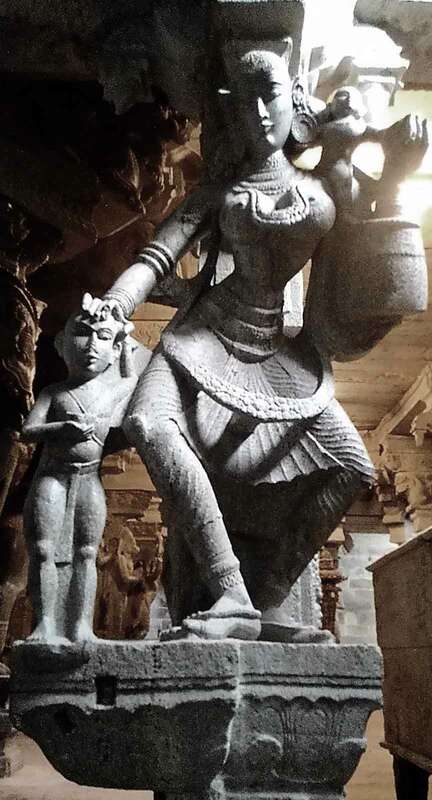 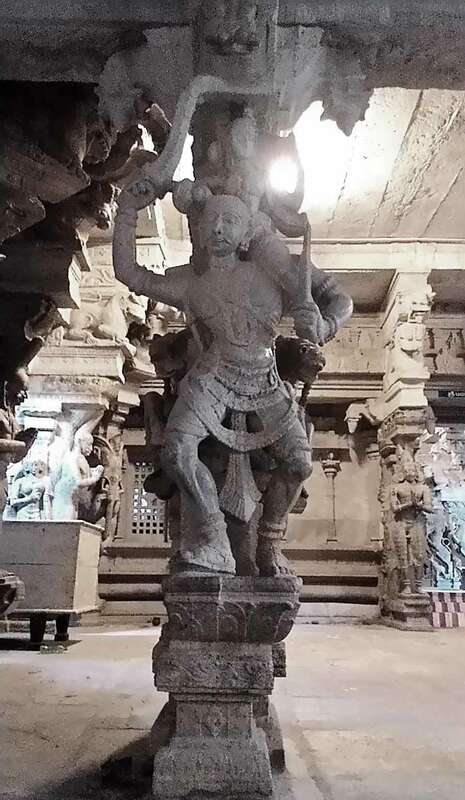 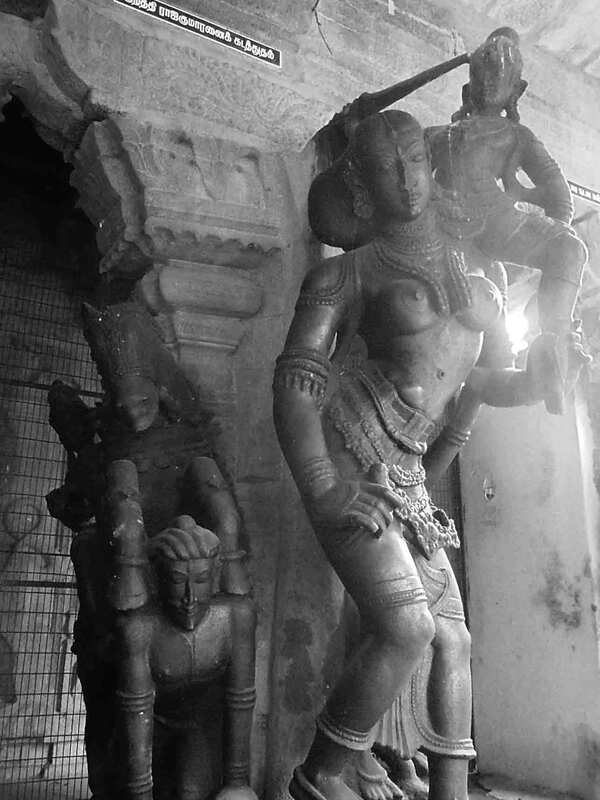 This gallery shows figures of the Kuravan and Kuratti across temple complexes in Tamil Nadu spanning Krishnapuram, Srirangam, Srivaikuntham, Madurai, Thirumayam and Thirukkurunkudi. 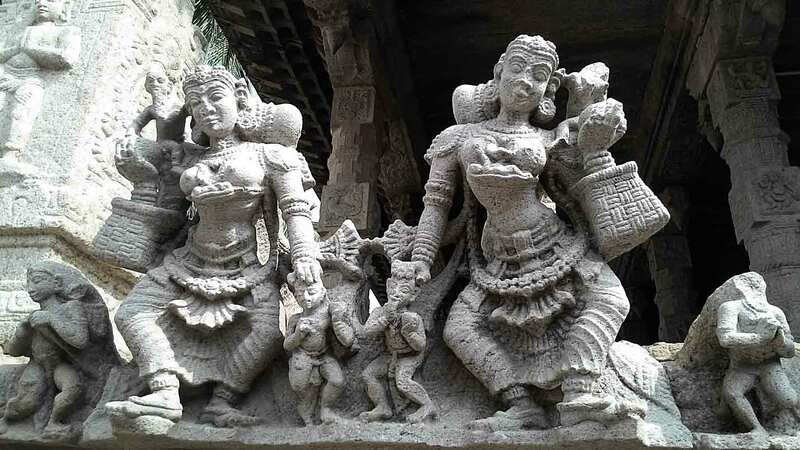 The Kuratti figures may be spotted with children, a woven basket perched on one arm or seen kidnapping princes. 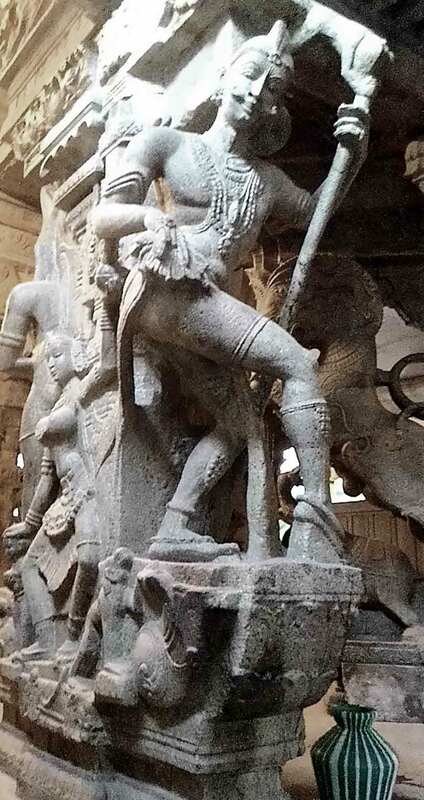 They are also depicted with a kondai or side-bun. 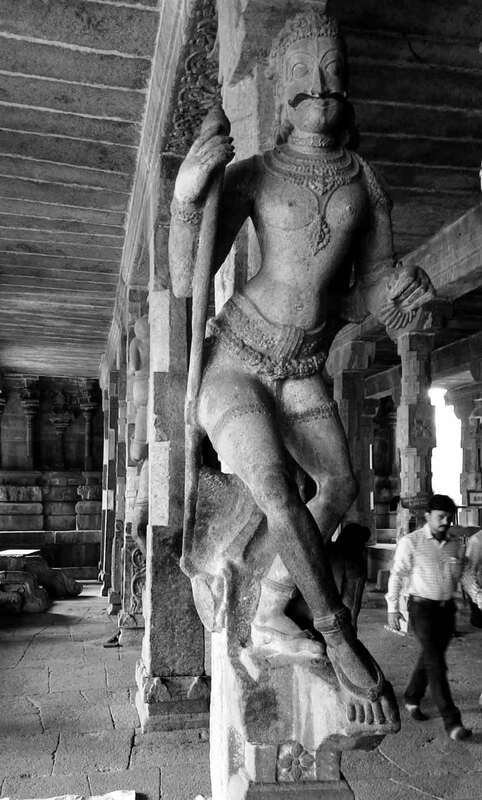 The Kuravan is spotted carrying a long stick (to hunt or trap animals), in a posture of vigorous movement (generally one foot placed before the other) as well as, sometimes with a horn (carrying his potent medicines for fertility) or kidnapping princesses. 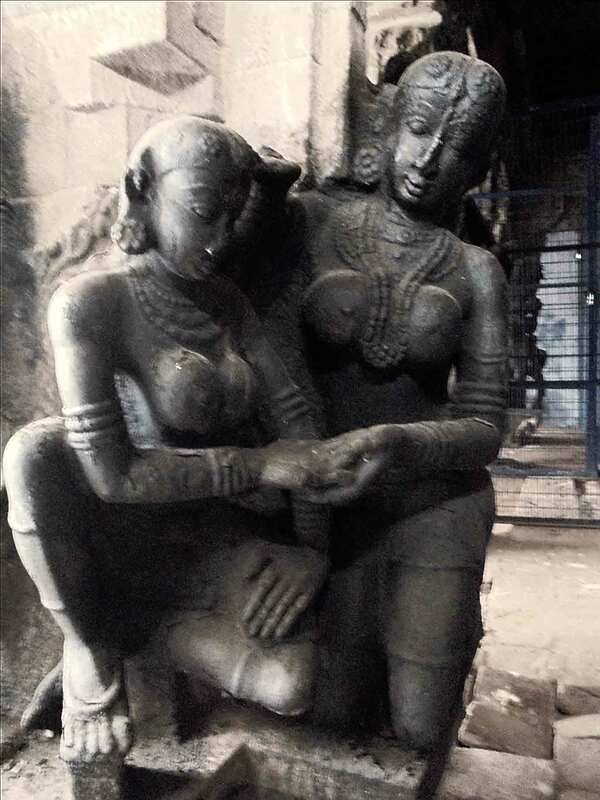 One picture depicts two women participating in palm-reading/ fortune-telling.